In the morning, we went out with our friend Dani to a place called O’s American Breakfast. When traveling, in addition to trying new foods, I’m also usually curious to see the local interpretation of American staples. Since moving abroad, Dani had been in search of American-style pancakes, and the ones at O’s were big and fluffy, just like what you’d get at a diner back home. After breakfast, Dani met up with a friend and Kurt and I headed for the Metro to Christianshavn. 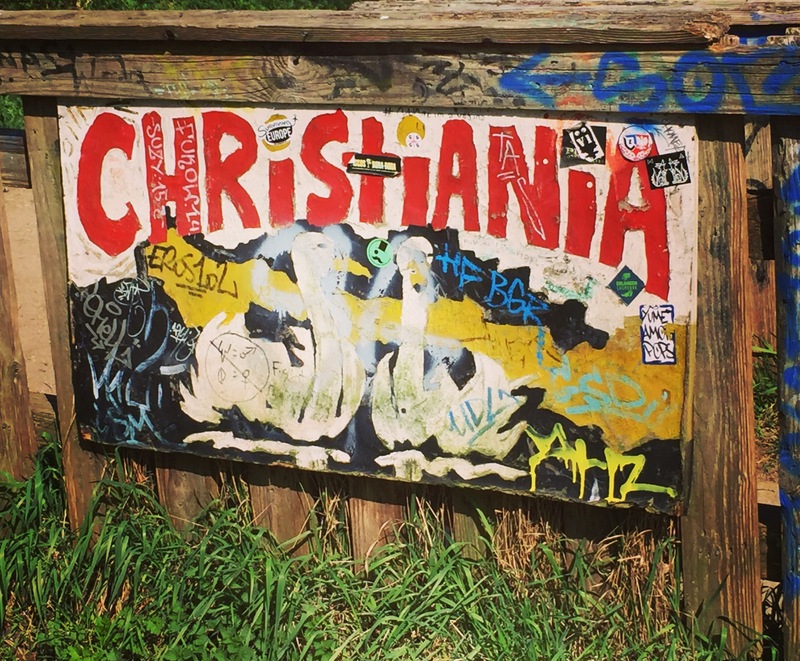 We were spending our day exploring Freetown Christiania, an autonomous district in a squatted military area. 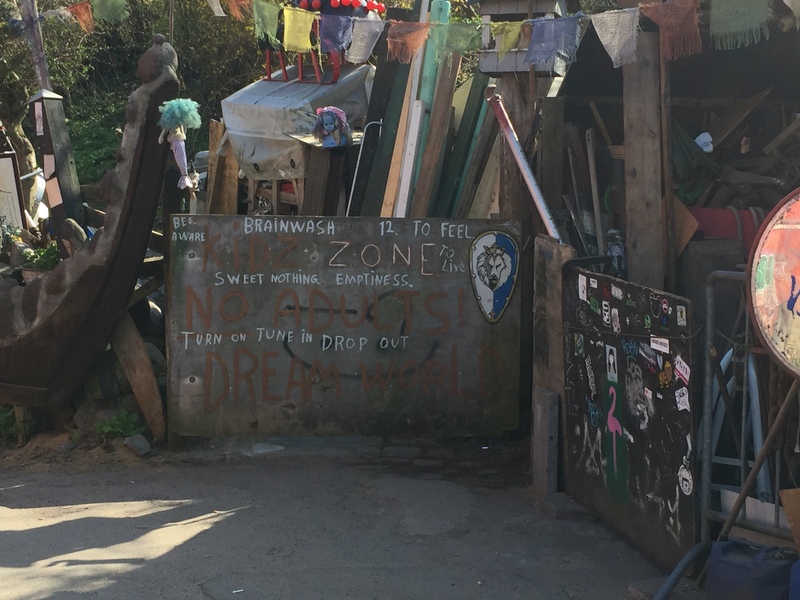 The area is probably most notoriously known as the “Green Light District” because of the proliferation of people buying and selling marijuana on Pusher Street. Weed is not legal in Denmark and the prevalence of dealers in the Freetown area ebbs and flows, depending on whether the community is currently putting pressure on forcing them out. One humorous observation Kurt made was the long line at the ATM next to the Christianshavn Metro stop, as people planning to visit Freetown loaded up on cash. The area is filled with stalls and vendors selling t-shirts, jewelry, food, and drinks, so Kurt and I looked around for a little, dodging errant skateboards and unleashed dogs, then grabbed an outdoor table and a round of beers at Cafe Nemoland. Freetown draws lots of tourists and the people-watching was highly entertaining. While much of the crowd consisted of hippies who smelled like Otto’s jacket, I was approached by a 70-something English woman in a skirt suit who politely asked me where the loo was. The other best thing about Nemoland was the bathroom, which was an all-gender room with many stalls and a large aquarium full of fish next to the sinks, and I am sure I am not the first person to see it and want to reenact the scene from Baz Luhrmann’s Romeo + Juliet. 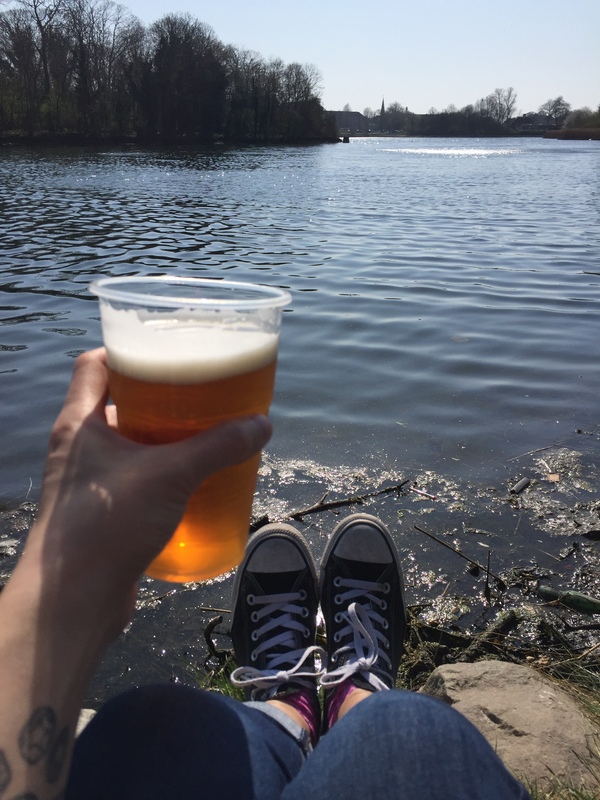 We got a second round of beers then took a walk around until we came upon a large pond. The banks were lined with people relaxing, smoking, drinking, and enjoying the warm sunshine. Someone had a jam box playing music. We sat in the grass, watching swans swim in the sun-dappled water. Denmark, I’m in love with you. As we walked past the pond, we saw more of the residential area including houses, art studios and a preschool. 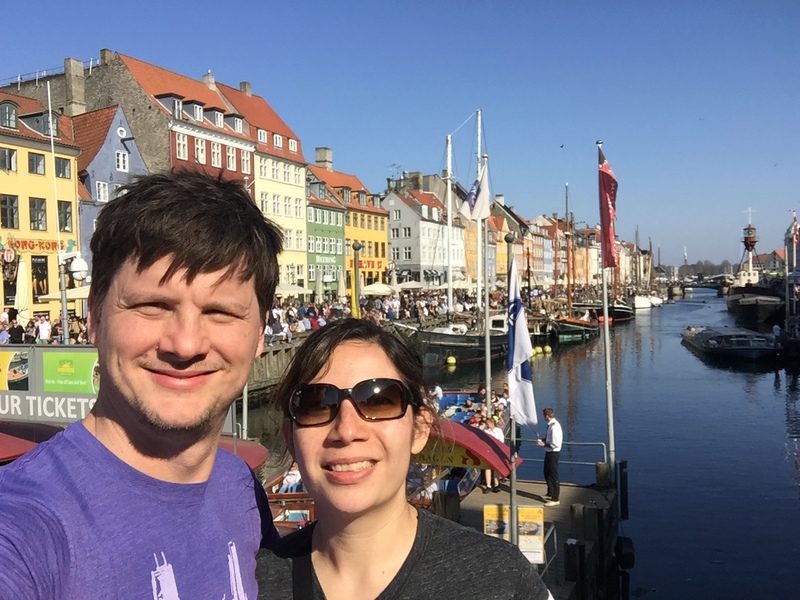 We eventually passed over the canal that acts as the Christiania border, then walked over to another iconic area we hadn’t visited yet, Nyhavn. The colorful row houses along the canal are possibly one of the most famous postcard-friendly views of Copenhagen. In the 17th century, the ‘potato rows’ were built to house shipyard workers, and the canals were notorious for heavy-drinking sailors and prostitutions. The writer Hans Christian Andersen lived there in the 1800’s, and nowadays, it’s a popular tourist destination filled with restaurants and stores. 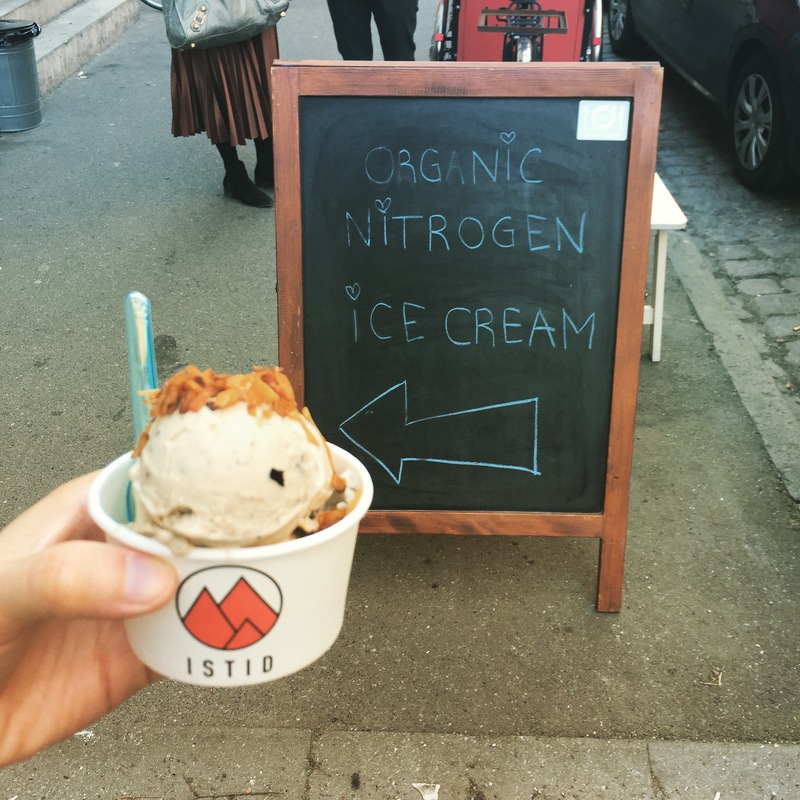 For dinner, we went back to the Nørrebro area for burgers and liquid nitrogen ice cream at Istid. I got banana ice cream with chocolate chips and vegan bacon pieces. It had been a long but perfect day with plenty of sightseeing and food-tasting packed in. I was slightly in denial that we only had one more full day of our trip left, as I could easily stay in this city for much longer.